Freight Transport is the process of transporting goods from one destination to the other usually via the modes of air (aircrafts), ground (train and road), ships and etc. usually following a certain set of rules and regulations issued by the concerned authorities. With the advent of technology and globalization of the commerce, adjustments need to made. 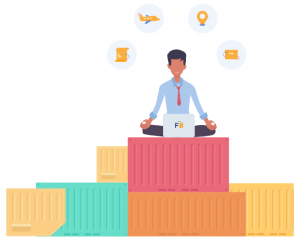 The Rapid increase in the customer demand for creation at lower cost has forced the global freight forwarders to make arrangement for easy-to-use and flexible solutions to effectively manage and control the business. Freight Rate is the price at which certain manufactured goods are delivered from one point of location to another (basically client). The main factors governing this rate is mode of transportation, weight, size, distance, points of pickup and delivery, with certain laws issued on it by the Federal, State and Local authorities. Instant freight rates are used to calculate Online quotes and for online FCL booking.Full Container Load Shipment is the cargo that will fill up the container size. Online freight services use FCL shipment facility to import and export goods with complete shipping container cost and prices online. Calculating shipping freight rates is easy if LTL Freight Rate determining factors are considered such as careful measurement of height, weight, depth and density are done. This forms the basis for many cargo shipping company and clients choose among them that offer the best of services at cost effective rates as per convenience and depending on coverage. In India, Mercator Limited, Zim World Freight Pvt. Ltd. etc. offer services for international purpose whereas DHL, Blue Dart etc. takes care of the national duties covering several states and regions. FreightBro provides the forwarders, and shipment carriers with state-of-the art business solutions. Freight Forwarding 2.0 is a new age forwarder with smart tools and solutions. It also provides quick generation of professional PDF quotes and sharing it with clients in less than 10 seconds. It also offers Proactive Quote Management to navigate all the quotes and shipments, and Shipment Management makes life easy by providing the forwarder with facilities that do not involve job cards and sheets creation. Freight Softwares are an efficient application medium to conduct freight services online. These are being used by online freight companies for easy business management, it is time efficient and cheap. Moreover it helps to keep track of all the logistics and data of import and export. Some notable software’s are A1 Tracker, Broker Pro, Excalibur WMS, Freightos and etc.